At 90 something years old, you can still find our neighbor crawling along rows of shelling peas harvesting the little green gems bound for her freezer. The woman still does it all....she still pickles and jams too. 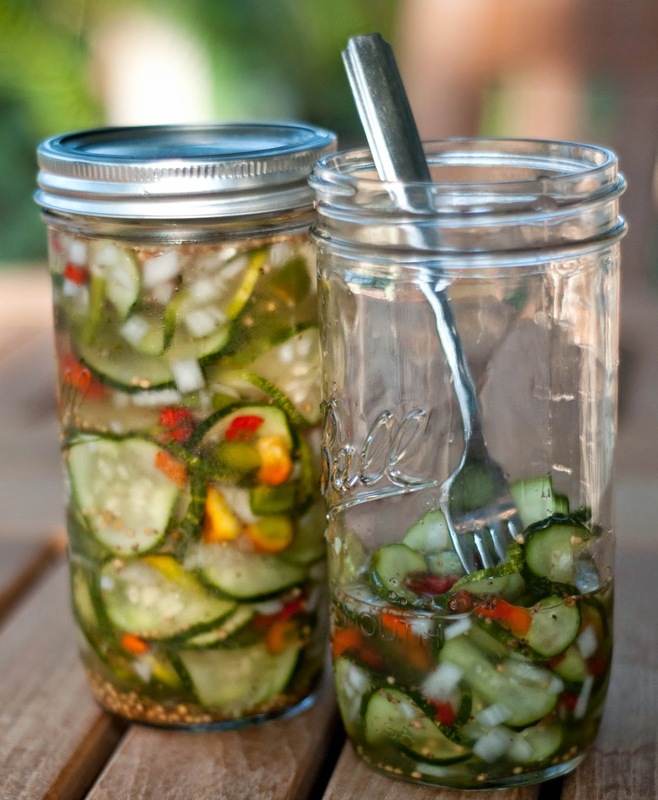 The Ice Box Pickle recipe I got from her is awesome. Tried and true for almost 90 years...it better be good...right?! Combine the above and let it sit for 1 hour. Combine above ingredients in a saucepan and bring to a boil. Add salted pickles to jars and pour vinegar mixture over. Once cooled place in the fridge. Doing all that at 90 years old?! That's downright amazing! Speaking of neighbors this reminds me of Ginny Parker -- She used to bring us veggies she put up in exchange for eggs. Some of the best veggies I ever had. She tried to teach me how she did it (there were several steps) but I could never duplicate it. She was 92 at the time I think. I remember her well! It's funny about the not being able to duplicate thing. My grandma used to make sandwiches for lunch, just basic sandwiches but I could never make them the same or as delicous.